He fled to Limpopo and was arrested on March 8 in Mankweng and is now facing a charge of murder. A 45-year-old man accused of stabbing his girlfriend to death was due to appear in the Brits Magistrate Court in the North West province on Friday to apply for bail. Sello Moela allegedly killed his 40-year-old girlfriend in Majakaneng, south of Brits, on March 5. He then took their one-year-old child to a neighbour’s house, telling them he had a fight with his girlfriend, who had gone away but she would come later to fetch the child. He had fled to Limpopo and was arrested on March 8 in Mankweng. He is facing a charge of murder. 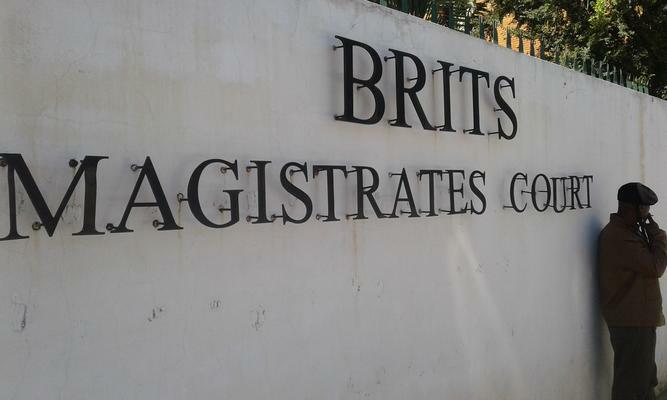 The man is reported to have abandoned his bail application at the Brits Magistrate’s Court on Friday. Moela is accused of stabbing his girlfriend Dapheny Majola, 40, several times with a sharp object. He allegedly put her on a bed, covered her with a blanket, locked the house and then took their minor child to the neighbours. “What is to be investigated, he admitted killing the woman,” one woman said as they moved out of the courtroom.